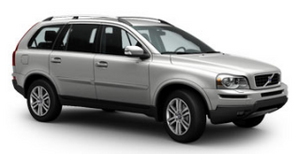 • We strongly recommend that Volvo owners install only genuine, Volvo-approved accessories, and that accessory installations be performed only by a trained and qualified Volvo service technician. • Genuine Volvo accessories are tested to ensure compatibility with the performance, safety, and emission systems in your vehicle. Additionally, a trained and qualified Volvo service technician knows where accessories may and may not be safely installed in your Volvo. In all cases, please consult a trained and qualified Volvo service technician before installing any accessory in or on your vehicle. • Accessories that have not been approved by Volvo may or may not be specifically tested for compatibility with your vehicle. Additionally, an inexperienced installer may not be familiar with some of your car's systems. • Any of your car's performance and safety systems could be adversely affected if you install accessories that Volvo has not tested, or if you allow accessories to be installed by someone unfamiliar with your vehicle. • Damage caused by unapproved or improperly installed accessories may not be covered by your new vehicle warranty. See your Warranty and Service Records Information booklet for more warranty information. Volvo assumes no responsibility for death, injury, or expenses that may result from the installation of non-genuine accessories.